Stream the new Hustle Gang compilation mixtape, starring T.I., Young Thug, Future, Chocolate Droppa, & many more. 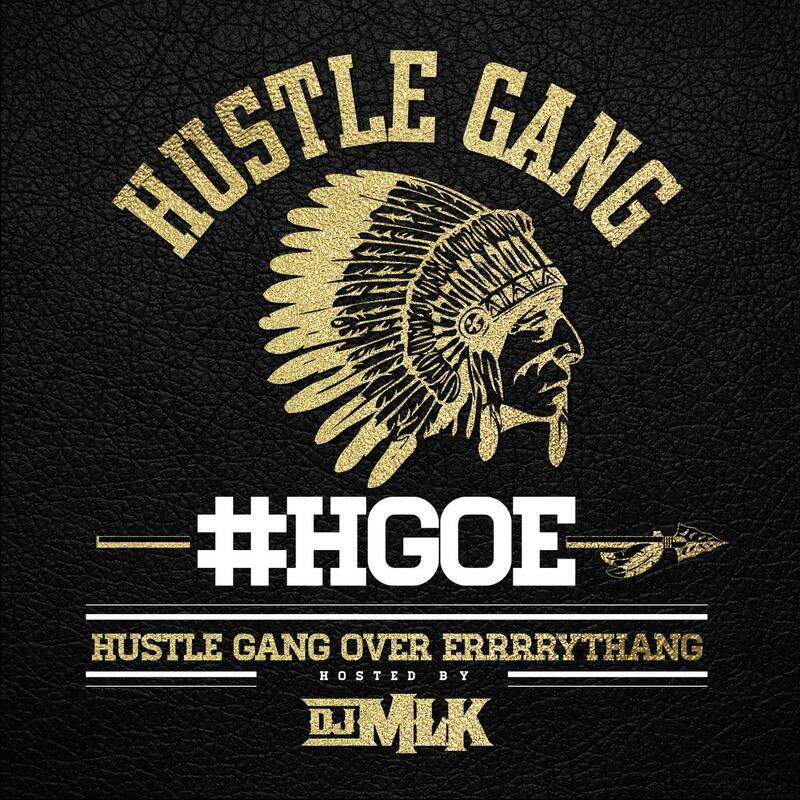 Early Monday morning, Hustle Gang quietly released their first mixtape in exactly two years: H.G.O.E. (Hustle Gang Over Errrrythang). The tape continues the collective's tradition of acronym-based mixtape titles, following 2013's G.D.O.D. (Get Dough Or Die) and 2014's G.D.O.D. 2. 16 tracks in length, H.G.O.E. features appearances from T.I., Young Thug, Chocolate Droppa (who, fresh off a freestyle victory over Meek Mill is getting ready to drop a full-length this fall), Future, Migos, B.o.B., London Jae, Yound Dro, Trae the Truth, Lotto Savage, Shad da God, Kap G, and many more. Stream and download the tape and share your thoughts in the comments.